Below you can view all the homes for sale in the Spencer Pyle subdivision located in Las Vegas Nevada. Listings in Spencer Pyle are updated daily from data we receive from the Las Vegas multiple listing service. To learn more about any of these homes or to receive custom notifications when a new property is listed for sale in Spencer Pyle, give us a call at 702-323-5939. American West home built in 2000. MLS#2083602. American Guardian Realty. Master Bath has double sink; oval tub & separate shower. Covered patio w/Large Yard. MLS#2078323. ADG Realty. Awesome backyard w/covered patio & beautiful landscaping. 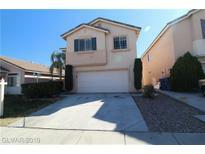 Located near Schools, Shopping & Freeways. MLS#2077353. GK Properties. Large Gazebo for entertaining in the backyard. MLS#2073597. Silver State Realty & Inves. EZ to maintain LS has full grown trees and a SPRAWLING back patio with COOL DECK! NO HOA! MLS#2065915. Maxim Properties. The Rear Presents With A Cv Patio And A Private Pool/Spa! Needs Some Tlc From You! MLS#2065457. The Baird Group. Home comes with a 30-day buyback guarantee. Terms and conditions apply. MLS#2060738. Opendoor Brokerage LLC. Out back is covered with a large patio, low-maintenance landscaping, and a river rock/veggie garden area. Low HOA! Check this out! MLS#2059348. Empire Realty & Management.